Our private dining room, the Wine Room, seats a maximum of 45 guests in an intimate setting. Please email vino@bohonyc.com for rates and availability. Gemma is an Italian Trattoria located on the ground floor of The Bowery Hotel. Chef Carlo Bigi pairs rustic, seasonal cuisine with an extensive Italian wine list in an ambient setting. Service was not what was experienced in the past. Lengthy time getting appetizer to table. Food came out wrong, and check incorrect. The restaurant was extremely hot. We asked if a window or door could be opened & they said no. We were seated in the elevated space in the corner. No circulation of air.. Several people in our party had to go outside to cool down several times during the meal. Nice meal but immediately seated right next to a couple in a corner of the large room. 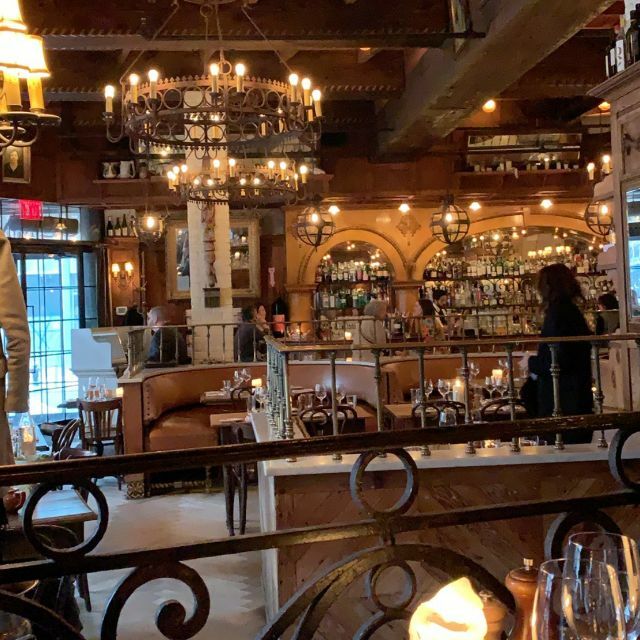 (Even though room was almost empty, as we ate early due to later plans) I thought that was strange and that the server had to keep squeezing in between me and the couple to serve them, and clear . Then when I asked the server if they had Guinness I was curtly told, “this is an Italian restaurant” however when he mentioned they had Moretti and Stellla, I could not resist informing him that Stella is a Belgian beer. Ha ha. All in all a delicious meal, which made up for these shortcomings. My birthday breakfast with my family. Vlees van mijn zoon was aangebrand . The brunch place is absolutely gorgeous - but food wise they are honestly lacking. There are so many brunch places that serve really delicious food for the same price, and similar aesthetic. It would be hard for me to come back simply because the food was very average. The french toast was dry, and so were the apple chicken sausages. The brussel sprouts were overly oily. My own dish was so subpar - the soft eggs were overcooked and the bread tasted old and dry. It looks popular enough to survive, but I suspect that for actual New Yorkers to come back consistently and not tourists...something like that would be unbelievable. The staff at Gemma are wonderful. Nikola the manager is the best in the game. He is kind, accommodating and made the whole experience something to remember. Setting is stunning. Food just okay. I love Gemma. We loved our waiter. I with I got his name. Expansive menu so something for everyone. Big booths for privacy and great location. My go-to place for weekend brunch with friends. Great food service and value for a quality business meeting. Always good for a decent meal before a show at Joes Pub! I love their pizza and occasionally a good place for a star sighting.